Steel strapping has caused numerous well documented accidents. Every time, when these serpentine coils are moved or stuffed into a bin, employees are in danger. 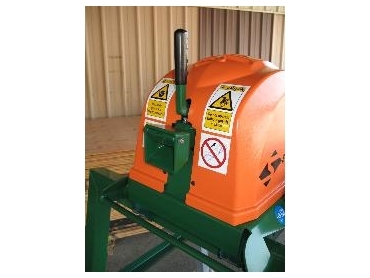 Sweed choppers available from Australian Warehouse Solutions prevent accidents and ensure the safety of the employees. With strategically placed Sweed choppers from Australian Warehouse Solutions (AWS), employees need to handle strap only once. The choppers cut the residue waste into small pieces of steel that are dropped safely into a recycling bin. The contents of the steel recycling bin can then be sold to pay for costs of rubbish removal. AWS are the exclusive distributors of the Sweed range and have specialised in providing innovative and cost-effective packaging solutions since 1977.